If you’re looking for the biggest, baddest option in the small luxury sedan segment, you’ll need to turn to Jaguar. More specifically, you’ll need to turn to Jaguar Land Rover’s Special Vehicle Operations. 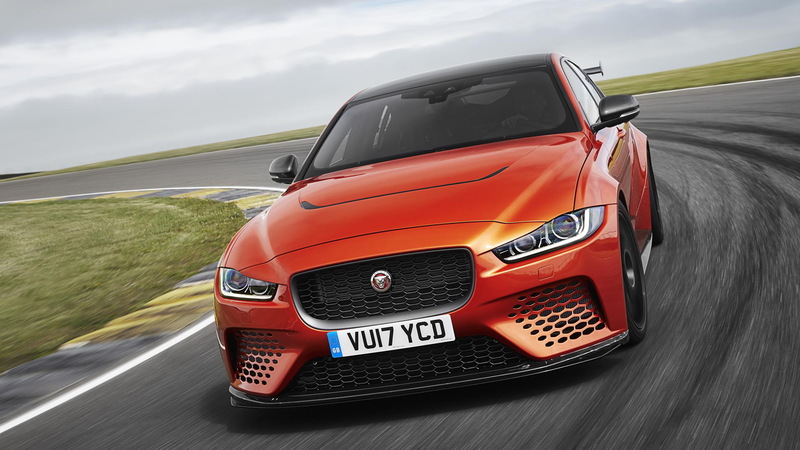 The SVO skunk works has churned out the new XE SV Project 8 just in time for the 2017 Goodwood Festival of Speed, where it makes its dynamic debut. 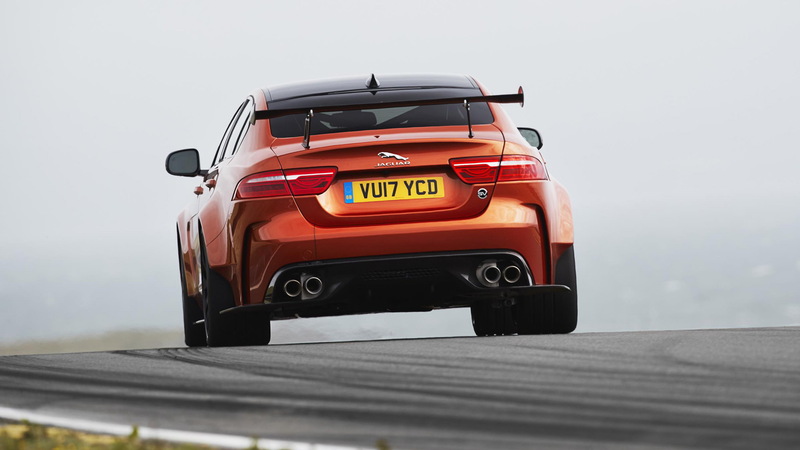 The car is a follow-up to 2014’s F-Type Project 7 and was developed to showcase the performance capabilities of Jaguar Land Rover’s in-house tuner. Under the hood sits the automaker’s familiar 5.0-liter supercharged V-8, tuned here to deliver 592 horsepower and 516 pound-feet of torque. 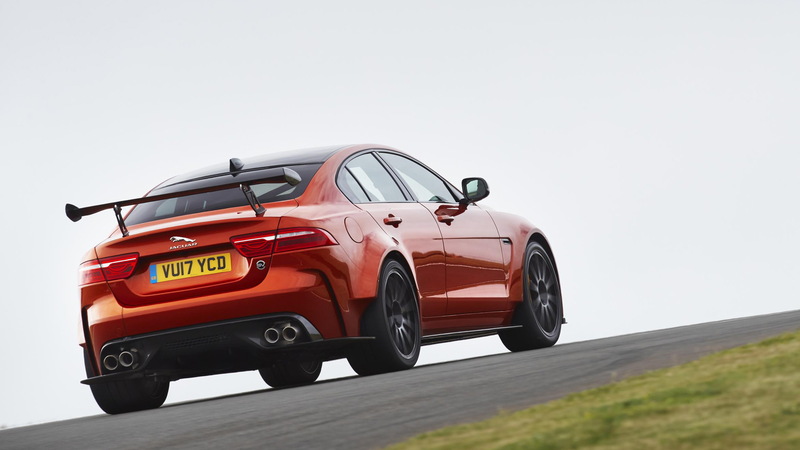 This is the engine's highest tune yet and it makes the XE SV Project 8 the most powerful Jaguar road car to date. Key mods included improvements to airflow and cooling. 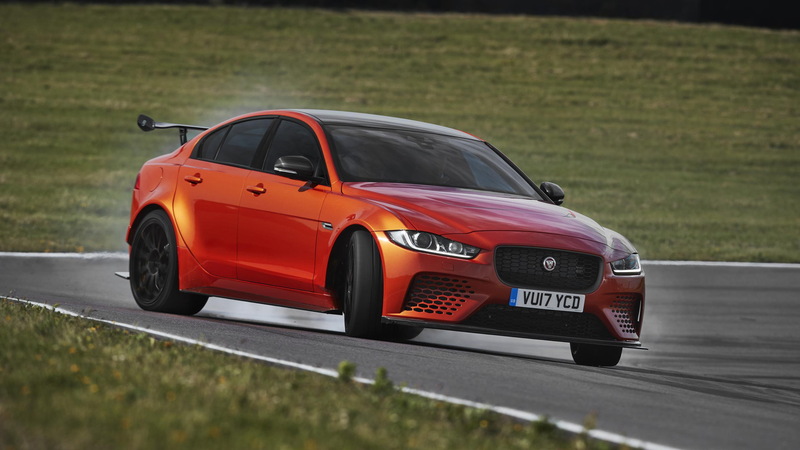 Just 300 XE SV Project 8s will be built, a few of which will be headed to the United States. 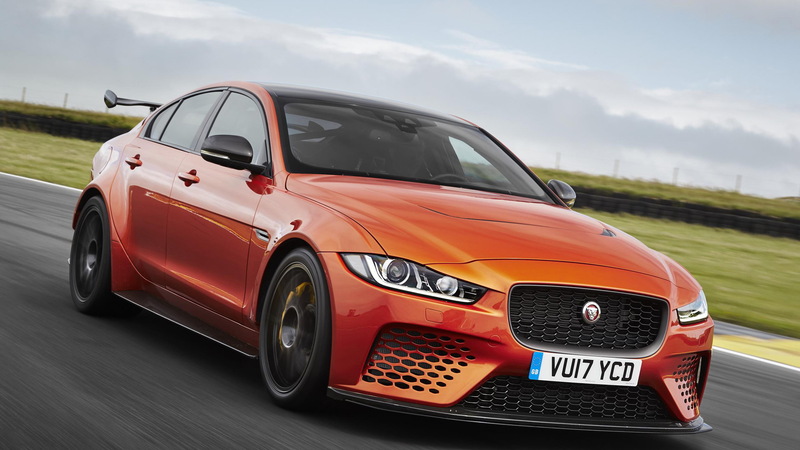 Jaguar hasn’t revealed local pricing but elsewhere the car will start at approximately $192,000. Sadly, buyers here won’t be able to opt for the car’s available track package which adds harnesses, plus a roll cage in lieu of rear seats. Sure, the price tag is steep, but the car is almost entirely built by hand and comes with extensive changes. You’ll immediately notice the flared wheel arches which are crafted from aluminum and add 2.2 inches of width. These house 305-size tires at the rear and required that the doors be reshaped to fit the muscular body flare. Even the headlights needed to be moved and the nose of the car brought further forward. The reshaping of panels extends to parts you can’t see, too. For example, the underbody was made flat and new channels installed to aid airflow.